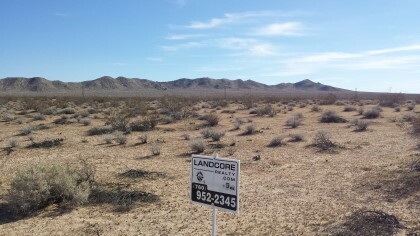 This 9.94 acres is located northeast of Helendale, CA. 4.3 miles east of Helendale Rd, 1 mile south of Highway 58. Barstow is located in San Bernardino County, one of the largest counties in the United States. The property sits on Cook road and approx 1,100 feet west of Wagner road. The owner of this property is offering to carry the financing which means that for a small down payment of $2,500 down, the seller loans the remaining $4,450 at 6% interest for 3 years. This works just like a bank loan on your home. Your monthly payments would be just $135.38 per month until paid. Perfect for the off road enthusiast! 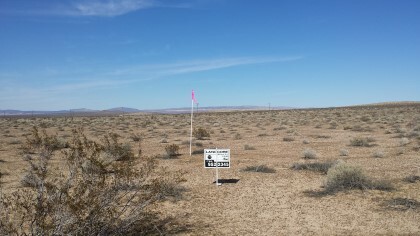 The area has miles upon miles of open desert for off road, dirt bikes, bmx, horse back riding, or just some open spaces for a little time away from the crowds. Take a weekend camping trip out to the property, no neighbors in sight! There has recently been construction on Highway 58 to realign the highway directly to the north and then east towards Hinkley and Barstow. This realignment/construction meant the removal of the nearby overhead powerlines you may see in the pictures to the northeast of the property. The new realignment does not bring the highway much closer but does change the access to the property. Access now is via Helendale Rd. From Highway 58 and Helendale Rd. turn south along Helendale Rd and continue for approx 1.63 miles, turn east (left) along powerlines, at approx 4 miles turn north (left) and cont for .5 miles, turn east (right) and cont approx 1300 ft to property Continue on Cook Rd. for approx. 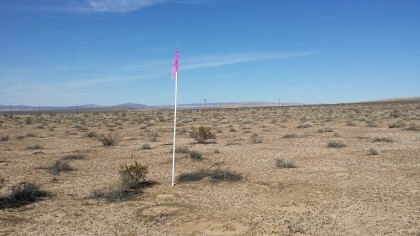 1,300 feet, property will be on your right side, corners marked with while poles topped with pink tape.